The hard-working Pratt team gathers in front of the first reel of paper to come off the new paper machine in Valparaiso. Pratt Industries announced today its new $260 million recycled paper mill had started production in Valparaiso, In. 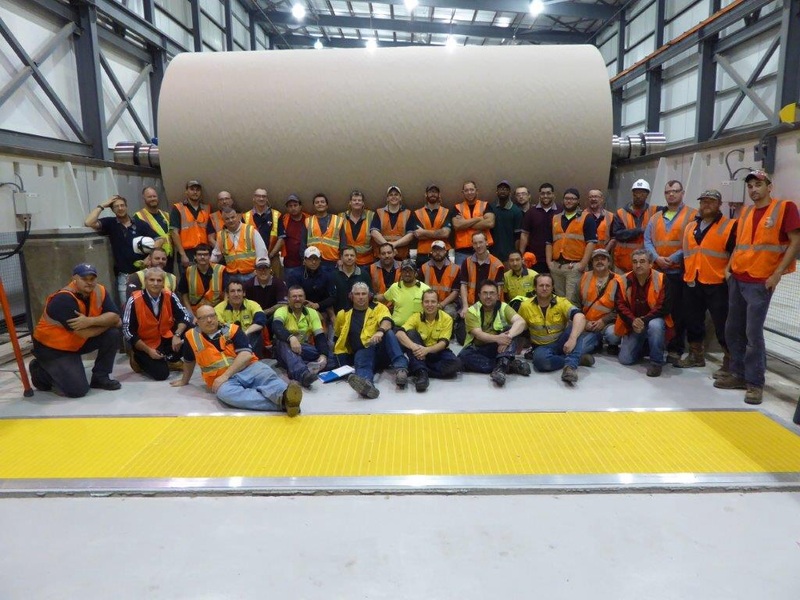 Pratt, which has now built three of the last 4 paper mills constructed in the U.S., said the new 100 percent recycled facility would supply the company’s rapidly-expanding Midwest operations. In just two years, company chairman Anthony Pratt said Pratt had invested more than $400 million in the U.S.
Pratt said the new mill would also increase the company’s annual revenues from approximately $2.1 billion to approaching $2.5 billion. “This puts us in a very strong position to exceed our medium range target of $3.5 billion in sales ahead of schedule,” he said. Pratt said America’s low energy costs and inherent entrepreneurial spirit had given rise to a new wave of manufacturing growth, especially in the Midwest where he says industry is booming and jobs are coming back from China and elsewhere. “We’re riding that wave,” he said. The mill, located 50 miles southeast of Chicago is on the same site as Pratt’s corrugated box plant, the world’s largest. It will supply that facility as well the company’s other box-making sites throughout the region with recycled paper. Pratt said it would be the industry’s most efficient paper mill, employing 120 people to make 370,000 tons a year – twice the productivity of many competitor mills. “It is the world’s most environmentally-friendly paper mill and a showcase for the latest in 21st Century paper-making technology,” he said. At capacity, the mill will save some 20,000 trees and divert up to 3500 cubic yards of paper from landfills every day and annually prevent more than 700,000 gross tons of co2 emissions through landfill avoidance. It was also designed to use even less water, electricity and natural gas than its three sister mills in Georgia, New York and Louisiana. He said the company would open a new $50 million corrugated box plant in Beloit, Wisconsin in just a few weeks. 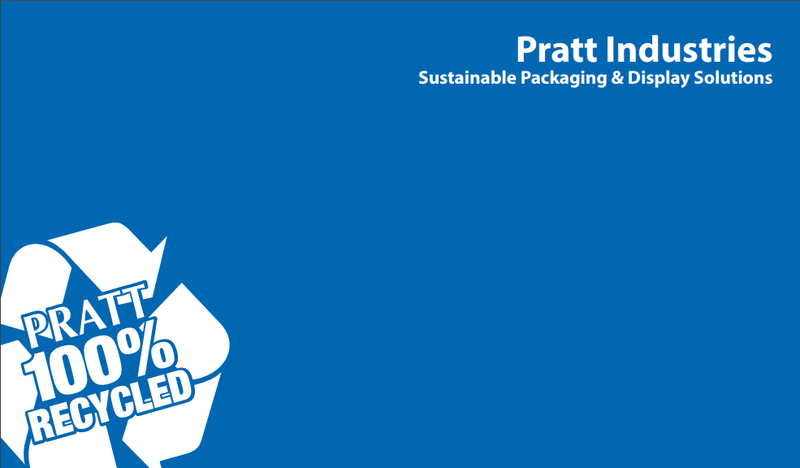 Pratt Industries now has some 130 facilities in the U.S. and is currently the 5th largest corrugated packaging company in the U.S.